No one knows what will emerge ultimately from the talks beginning in Geneva Oct. 1 between Iran and the five permanent members of the UN Security Council plus Germany on the matter of the Tehran government¹s nuclear program. 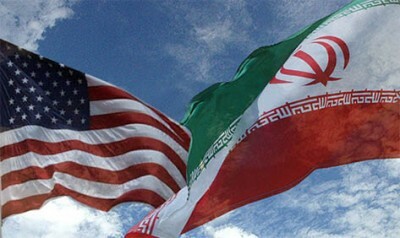 Iran says it looks forward to the talks and promises to be forthcoming. But judging by the stance of the United States, Great Britain, France and Germany last week at the UN conferences in New York and the G20 meeting in Pittsburgh, draconian sanctions may be enacted against Iran in a few months. This would result in yet another crisis that the world doesn¹t need just now. Russia and China ‹ which hold veto power in the Security Council that can weaken or prevent additional sanctions ‹ have up to now resisted the Obama Administration¹s drive for tough new UN punishments. President Barack Obama met separately during the week with Russian President Dmitri Medvedev and Chinese President Hu Jintao in an effort to obtain their agreement to threaten more stringent sanctions should Iran procrastinate during the talks. The White House later suggested to the press that Medvedev may be coming around to Obama¹s point of view, but this seems to be based on very skimpy evidence ‹ a remark that “in some cases sanctions are inevitable.” Hu evidently didn¹t even go that far. China opposes sanctions in principle as a means of resolving international disputes. Moscow and Beijing do not subscribe to the negative depiction of Iran promoted by Washington, Tel Aviv, London, Paris and Bonn. They understand the situation to be far more complex than the U.S. and its allies publicly acknowledge. The Iran question suddenly took center stage Sept. 25 during a week of hectic political activity. The White house set up a hastily arranged and theatrically produced press conference at the start of the G20 meeting in order to detonate a political bombshell intended to destroy Tehran¹s contention that it is only interested in nuclear power, not nuclear weapons. The conference opened with Obama standing at the microphone with French President Nicholas Sarkozy and British Prime Minister Gordon Brown standing solemnly to his left and right. It was explained that German Chancellor Angela Merkel would have joined the trio but was delayed. Obama then declared that Iran had for several years been secretly building an underground plant in mountainous terrain to manufacture nuclear fuel near the city of Qom about 100 miles from Tehran, in addition to the plant and facilities in Natanz already known to the world. He suggested the new plant was intended to produce weapons without the world¹s knowledge. As intended, the hyped disclosure created headlines around the world. It probably convinced many Americans, already primed to detest Iran, that Tehran is building nuclear bombs to obliterate the U.S. and Israel. This is not an unlikely conclusion for many people to accept after 30 years of Washington¹s incessant campaign to demonize the government that overthrew and replaced America¹s puppet, the dreaded Shah of Iran. The U.S. broke diplomatic relations with Iran after this act of lèse majesté and the subsequent ³hostage crisis,² and has nourished a grudge to this day. If push does come to shove with Iran it is important to remember how effortless it was to hoodwink the majority of American politicians and the masses of people into backing a completely unnecessary war against Iraq. As in the buildup to the unjust invasion of Iraq, today¹s U.S. corporate mass media is playing its principal part to perfection ‹ uncritically echoing government distortions about the danger of Iran¹s nonexistent nuclear weapons. The Iran situation is different, but yet similar in terms of mass public manipulation and the possibility of a future confrontation getting out of hand. Can this be, once again, a situation of high-stakes geopolitics where things are not as they seem? We think so. Let¹s look at the immediate charge against Iran, based on the ³revelations² of the last week, then take on the bigger picture in Part 2. Bush Administration Director of National Intelligence Mike McConnel first informed Obama about the facility soon after he won election. He has been kept up to date since then. Before going public with the information last week, the president saw to it that several other governments were told in advance, as was the IAEA and others. Iran insisted to the Vienna-based IAEA and the world that the enrichment plant under construction is designed only for fueling nuclear power installations. Soon after Obama¹s G20 speech, Iran¹s Atomic Energy Organization declared the new ³semi-industrial enrichment fuel facility² was ³within the framework of International Atomic Energy Agency¹s regulations.² Press reports said ³The head of Iran’s nuclear program suggested UN inspectors would be allowed to visit the site.² The invitation was extended before Washington¹s demand that it do so. A quite unruffled Iranian President Mahmoud Ahmadinejad appeared at a press conference in New York after Obama¹s disclosures. He seemed to regard the American president¹s allegations, and the staged manner in which they were delivered, not only the making of a mountain out of a molehill but an act of bad faith just before the talks are to begin, suggesting non-threateningly that Obama will come to regret his confrontational demeanor. Ahmadinejad told the press that the plant in question wouldn’t be operational for 18 more months and that it did not violate the Nuclear Non-Proliferation Treaty (NPT). He went further and said nuclear weapons “are against humanity [and] they are inhumane,” comments in keeping with his recent calls for eliminating all nuclear weapons. The Iranian leader also said that Iran informed the IAEA about the plant only a few days ago instead of when ground was broken because construction had reached the stage where it should be reported, not because it found out that a U.S. spy agency was watching. What are we to make of this? First it must be understood there is a complex dispute over the IAEA¹s safeguard provisions governing the Nuclear Non-Proliferation Treaty. According to an article in the Sept. 26 New York Times by Neil MacFarquhar, ³Tehran¹s stance hinges on different interpretations of the agency¹s regulations, said Graham Allison, the director of Harvard University¹s Belfer Center and an Iran nuclear expert. In talking to the press after Obama¹s speech, Ahmadinejad said that the new facility would be completed in 18 months, so under Iran¹s understanding of its responsibilities, its notification was a year in advance. The U.S. maintains that Iran informed the IAEA when it learned U.S. spy agencies had become aware of the plant, but if that were so, why did Teheran wait three months before contacting the nuclear agency? The AP also noted that the IAEA now ³says Iran is obliged to make such a notification when it begins design of such facilities² and that ³a government cannot unilaterally abandon such an agreement.² This is confusing, of course. But since Iran was never designated as noncompliant and was allowed to proceed under the previous rules after it registered its rejection, the thunderous criticism emanating from the U.S., Britain and France appears to have no merit.